Ever notice that when you take your homemade pizza dough out of your commercial oven, it has a fairly uniform shape – whether you’ve shaped it into a circle or a square? 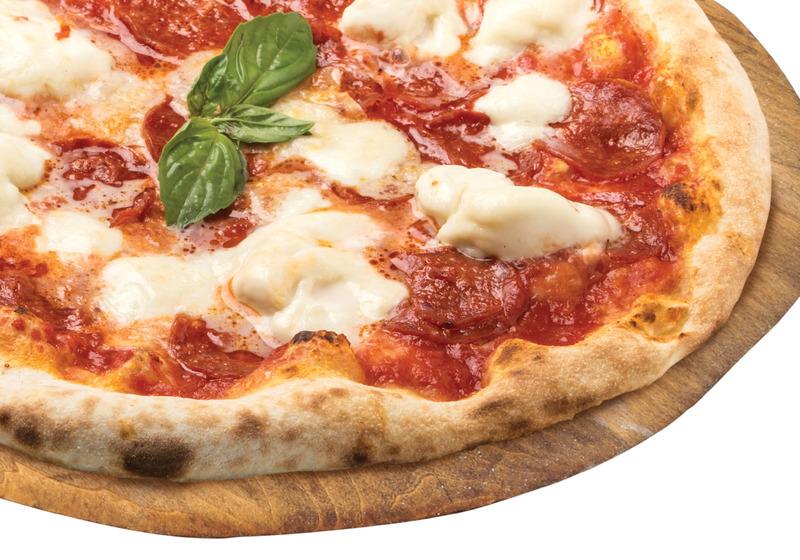 But when you see authentic Italian pizza dough, it has that truly homemade look? So why is that then? What’s the difference? Well, Italians say it’s all about the love and care you put into it. And in this case, that just might be true. Often when people roll out their dough, they use a rolling pin or use a pressing machine that rolls it out for them. And while a rolling pin will give you a slightly different look every time, both methods will give you pretty much the same look every time you pull a pizza out of your oven. What you need to do if you want that bubbly crust that pokes out here, and dents in there, is to get in there and use your hands. Start by shaping the wholesale pizza dough into an oval. Then, place one palm onto the dough with your fingers closed. Place your other palm onto that one and gently press down. Turn your fingers slightly, leaving your palms on the dough, and continue to press. Continue doing this until your dough is shaped just as you want it, and then watch it puff up golden brown as it bakes. When it comes out, it will look just like the real thing!